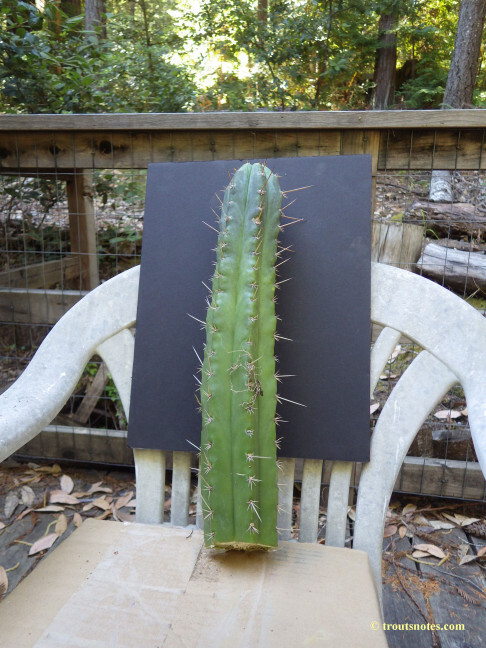 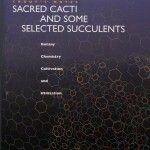 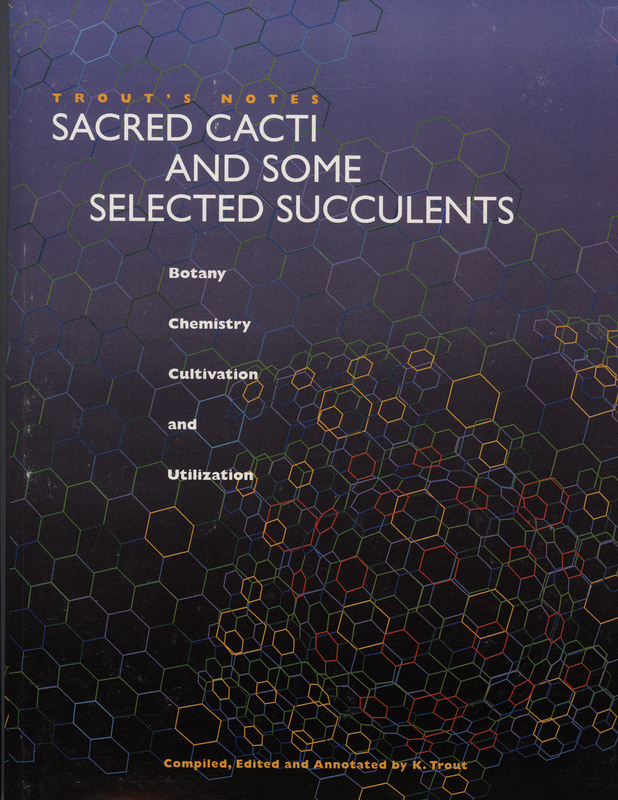 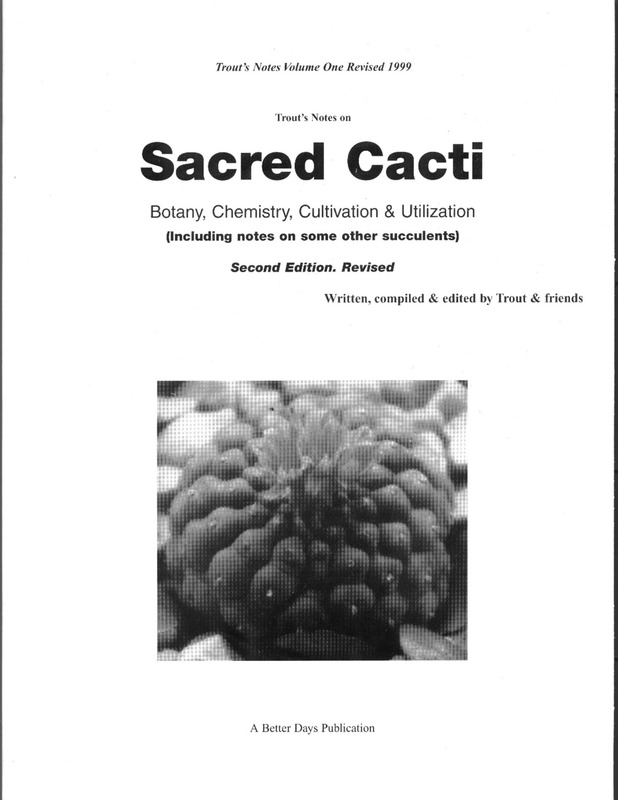 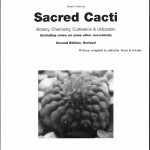 Trichocereus glaucus sensu Krazy Karel Knize anyway. 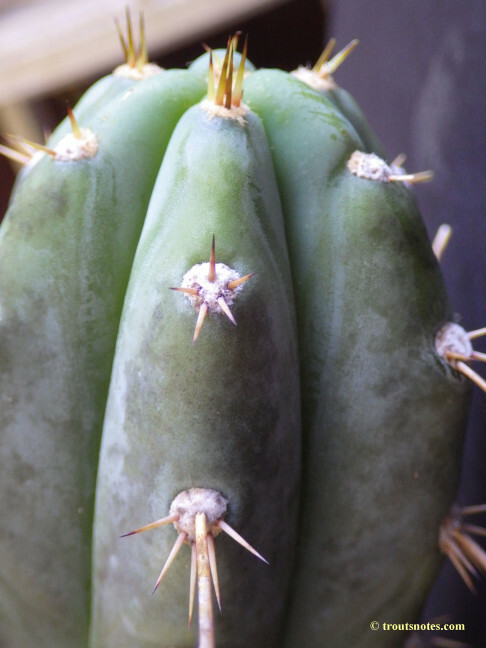 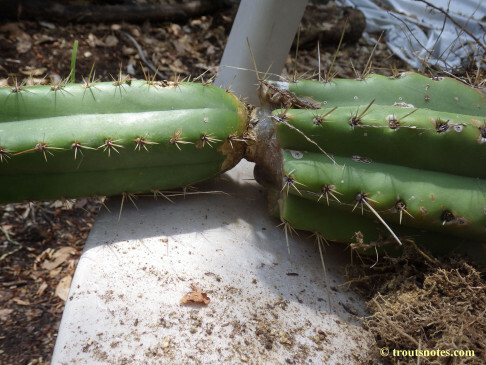 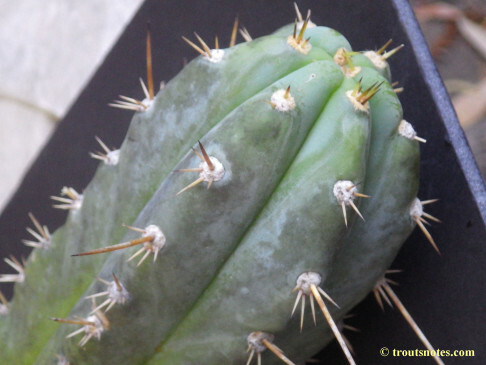 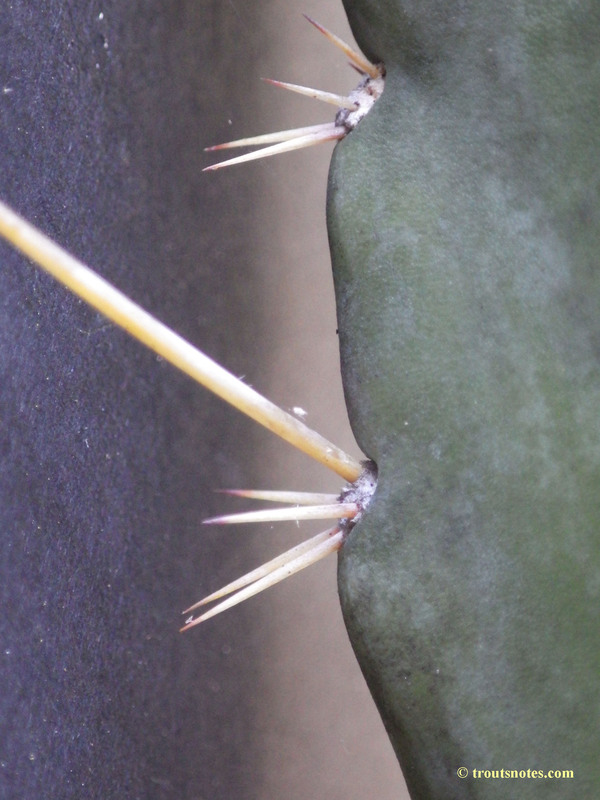 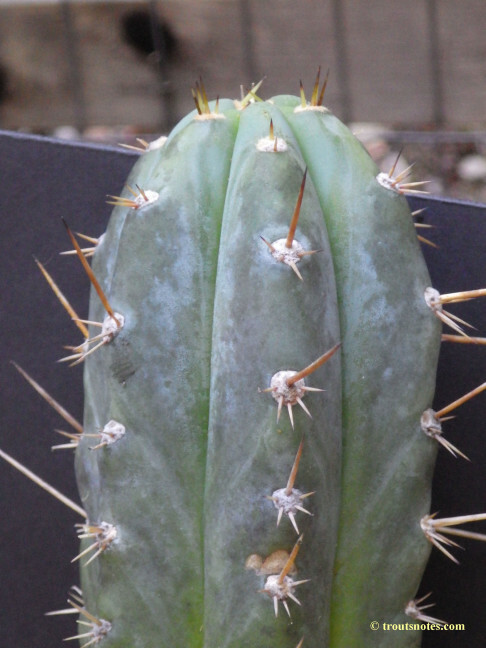 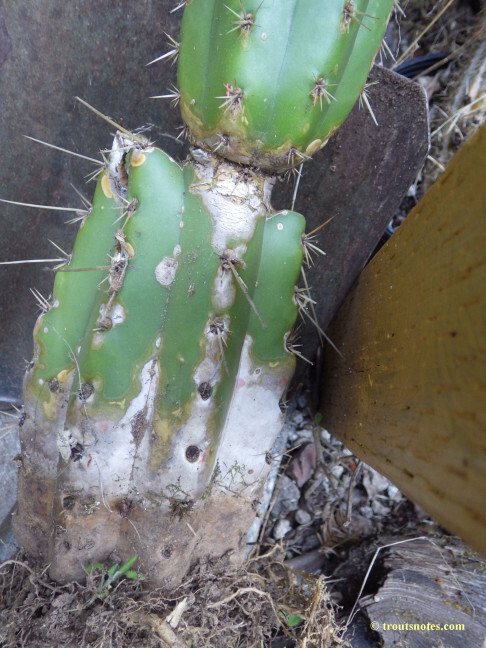 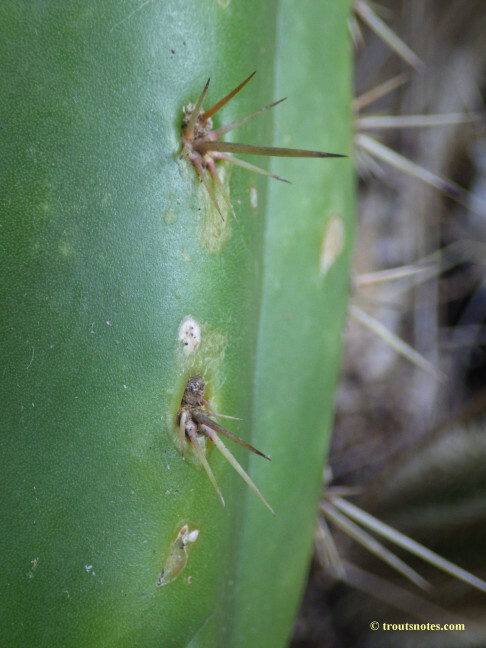 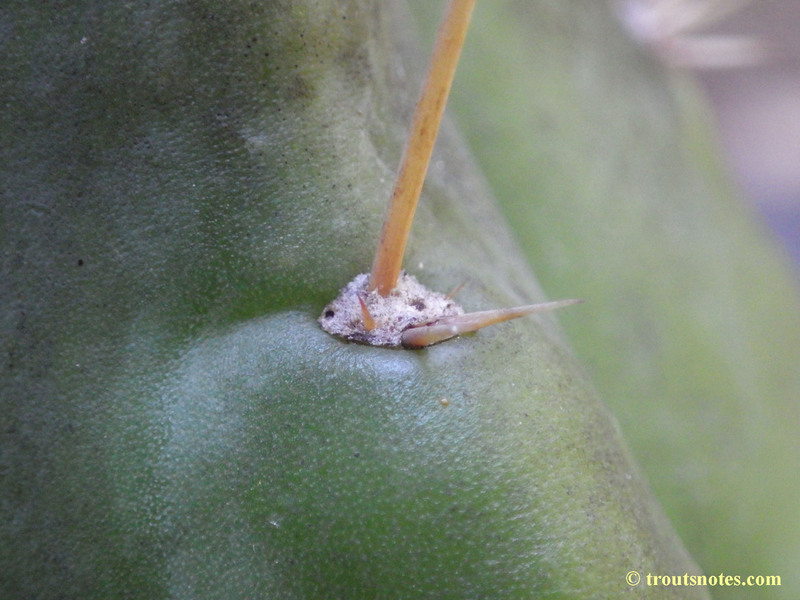 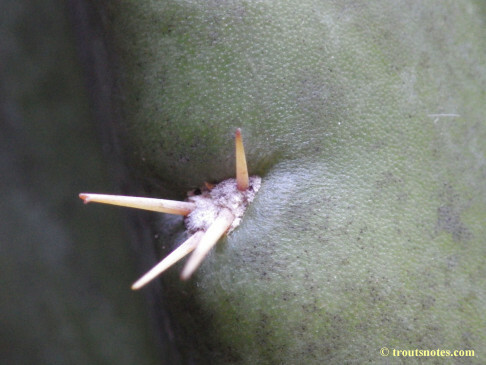 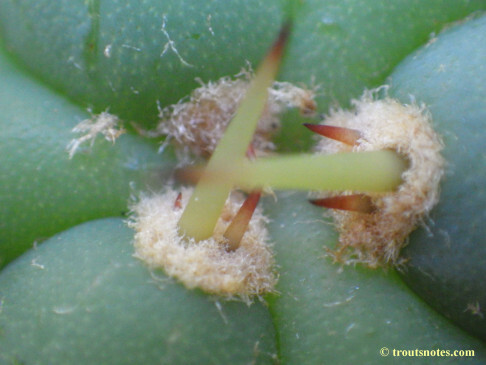 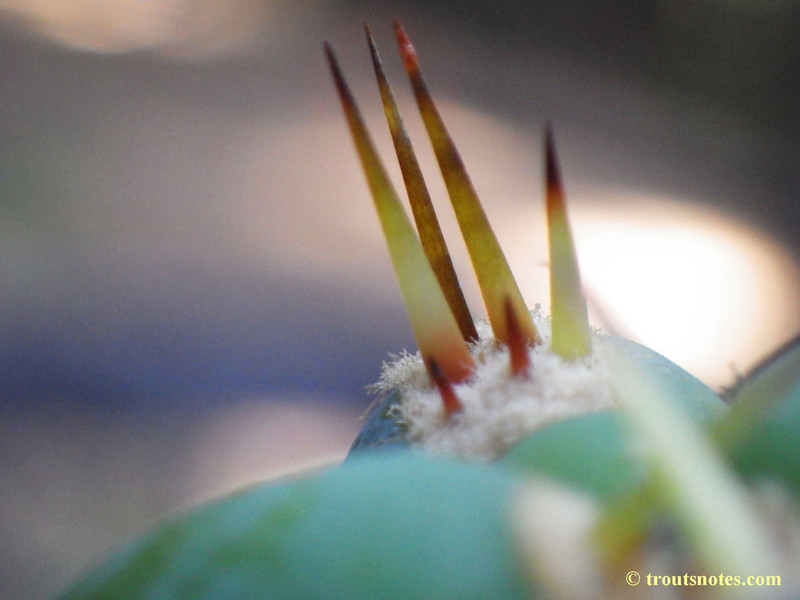 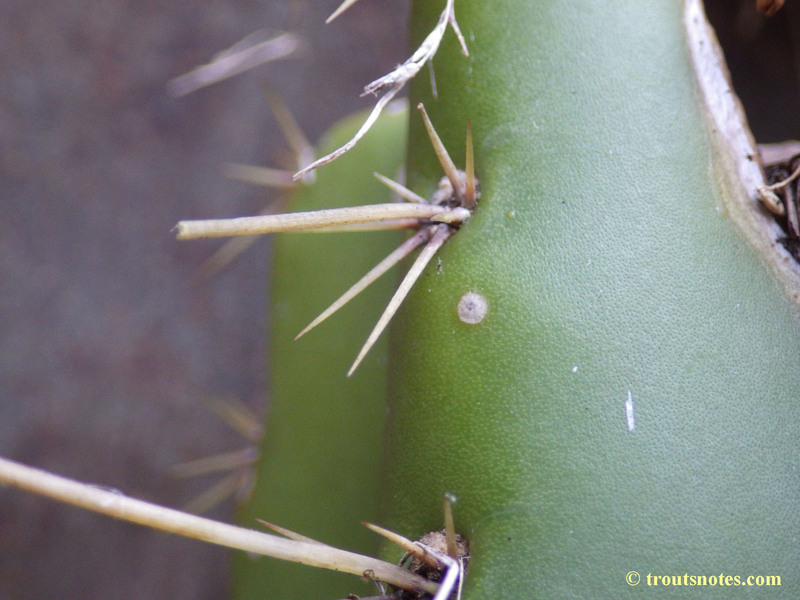 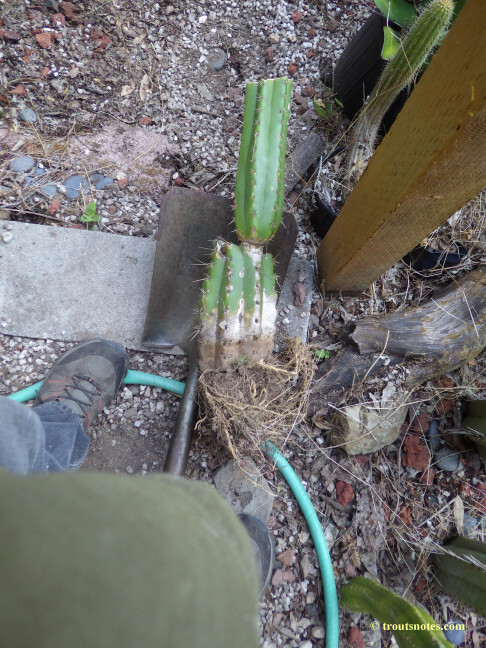 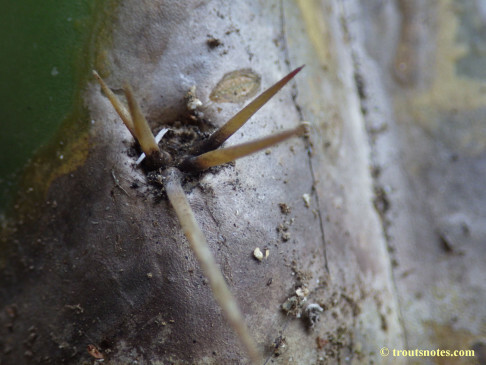 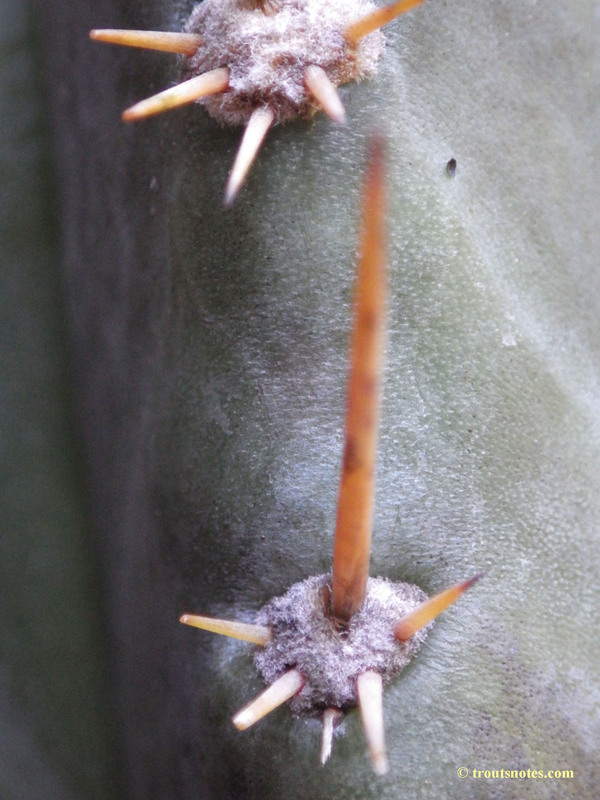 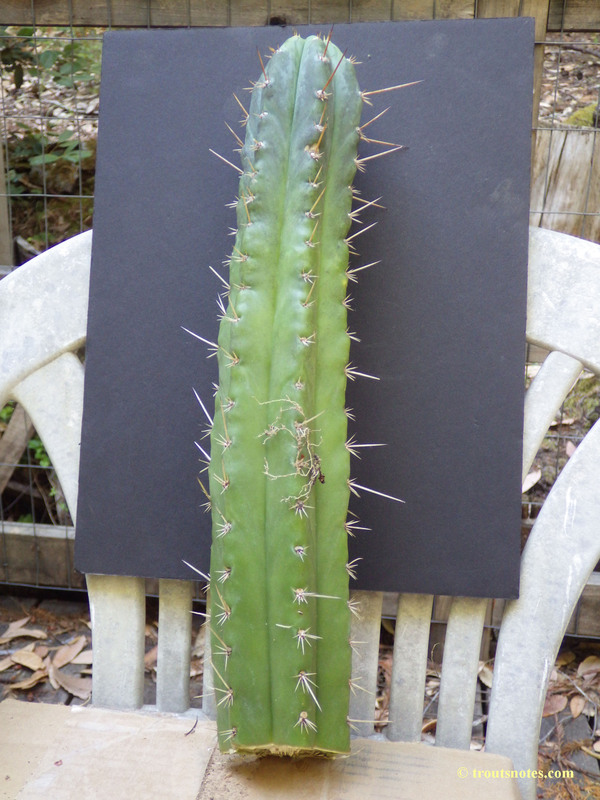 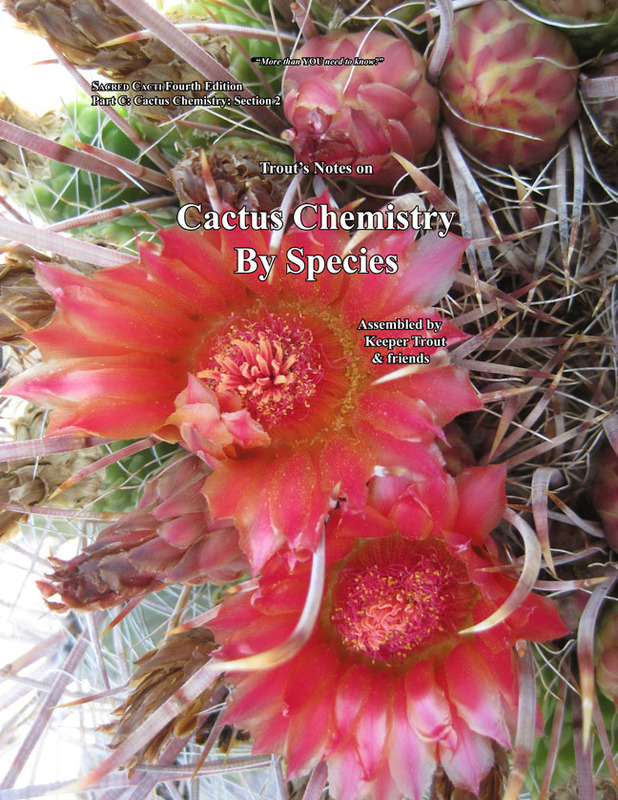 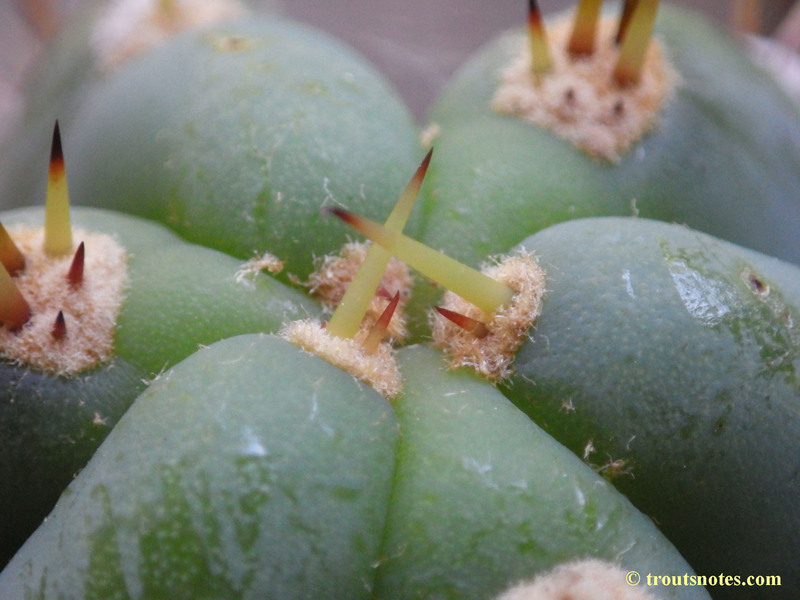 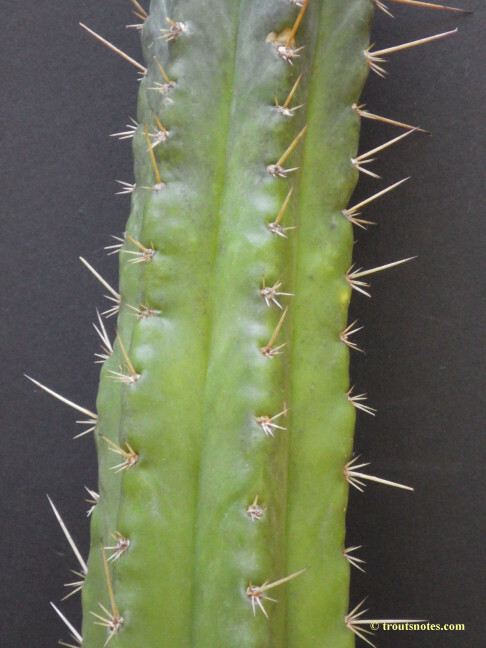 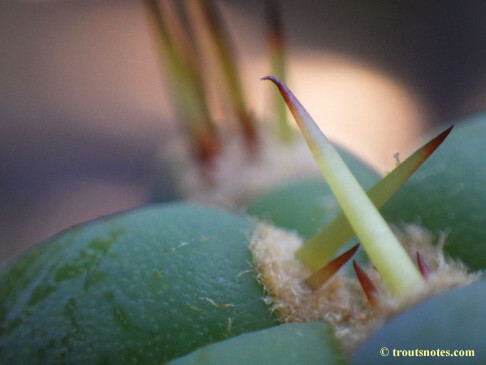 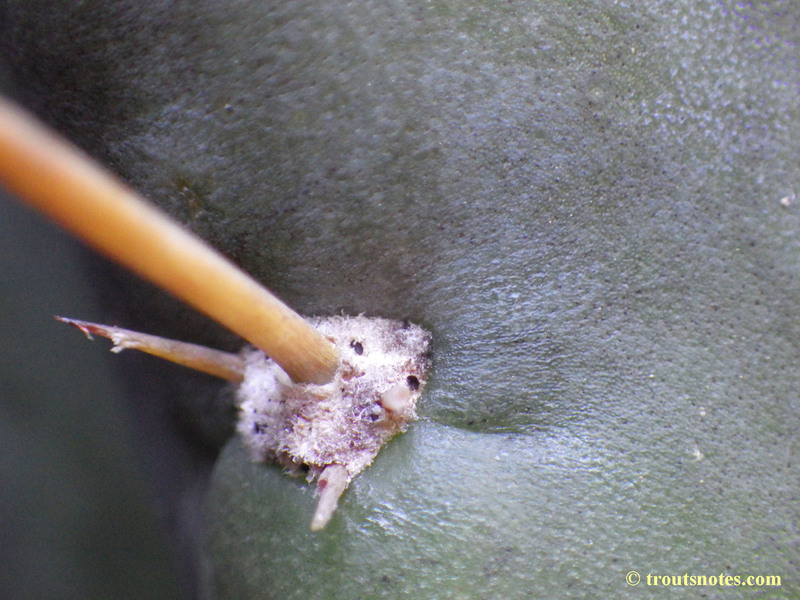 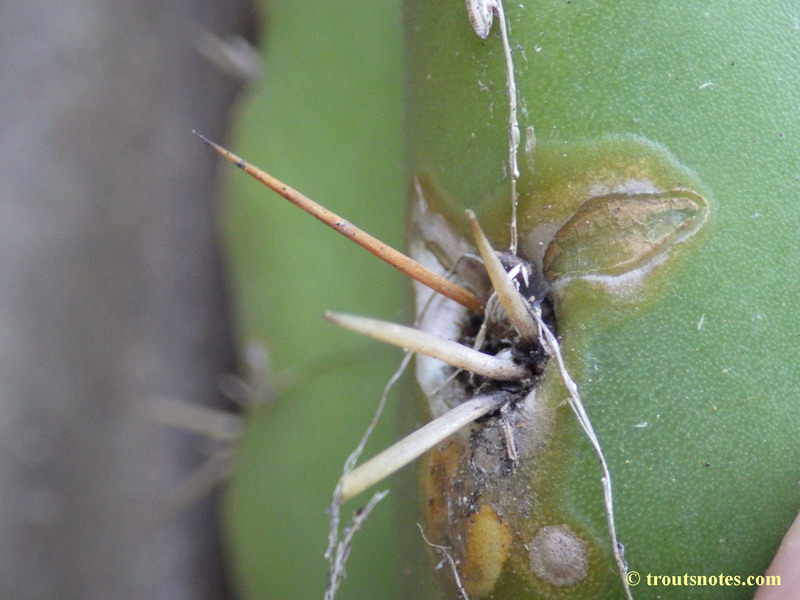 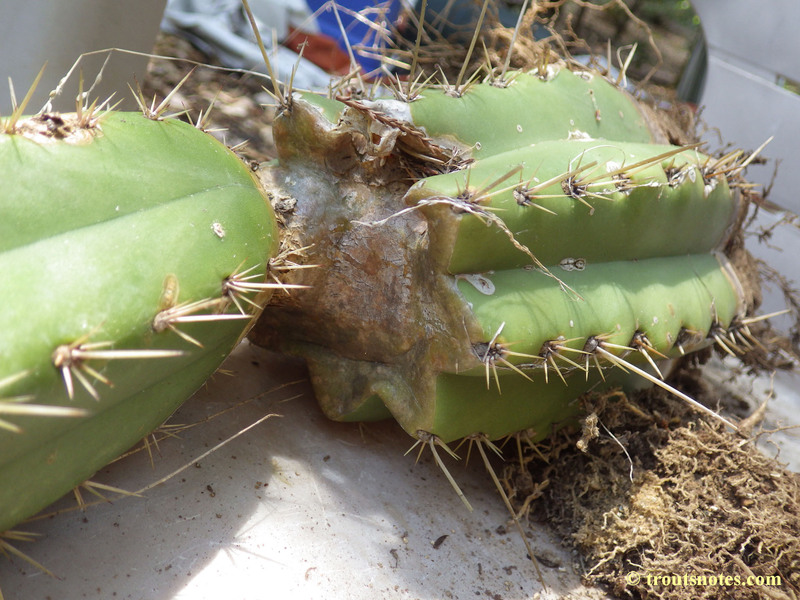 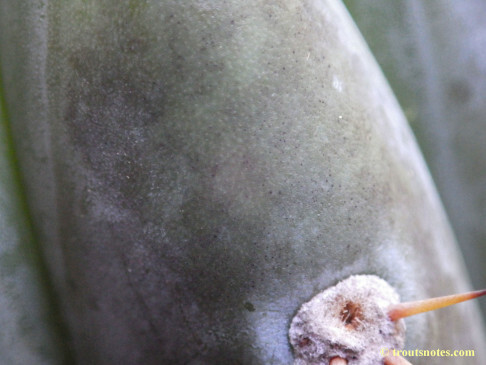 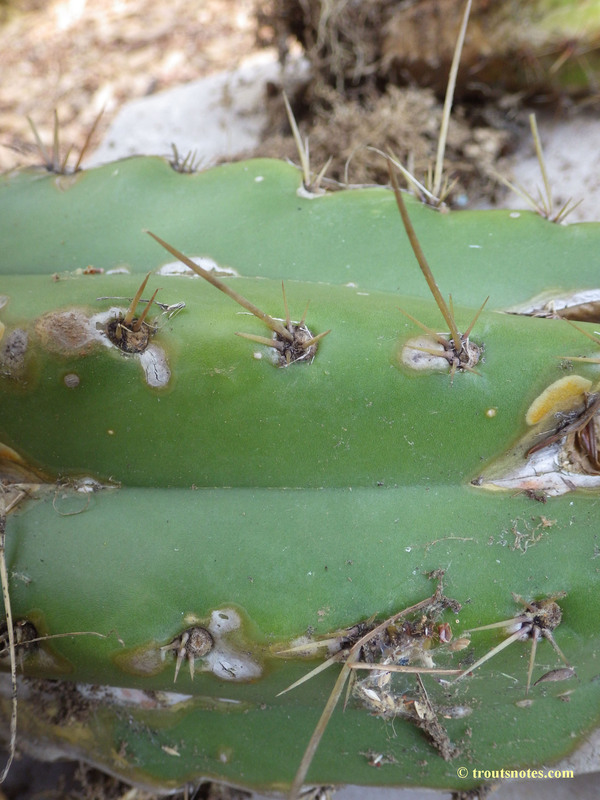 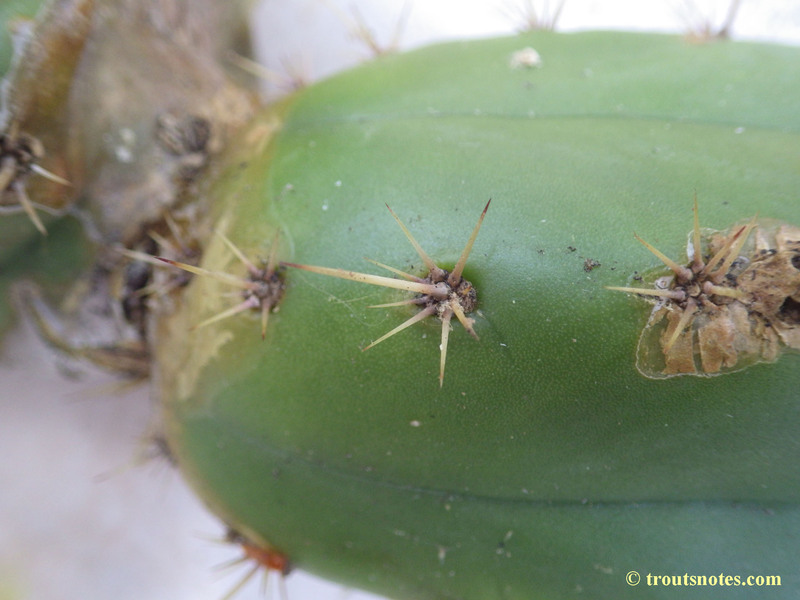 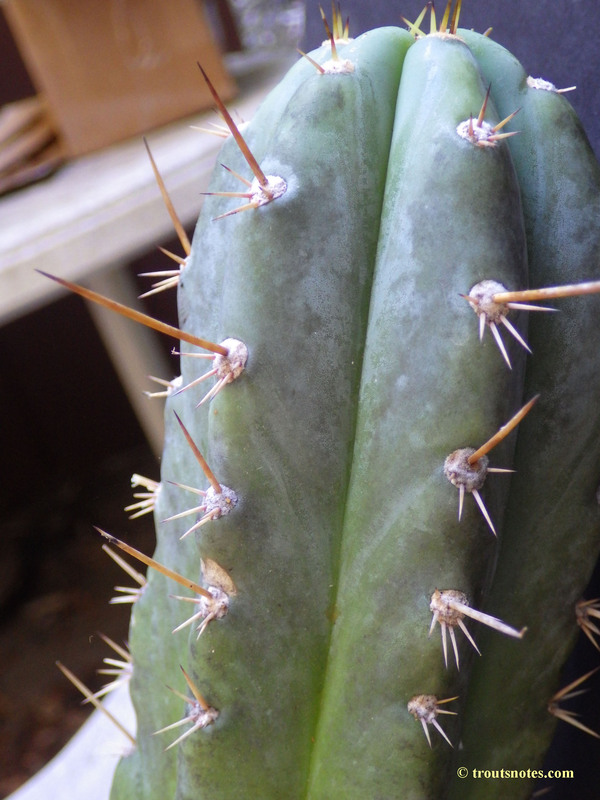 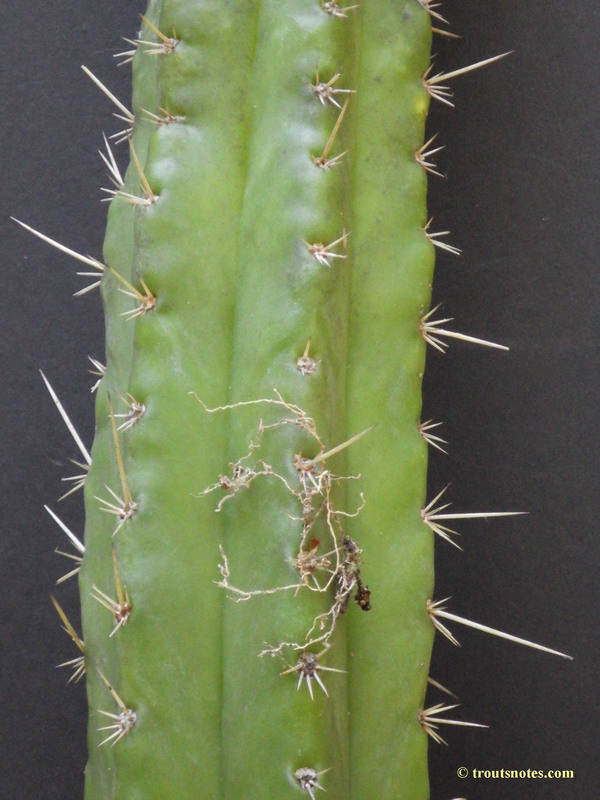 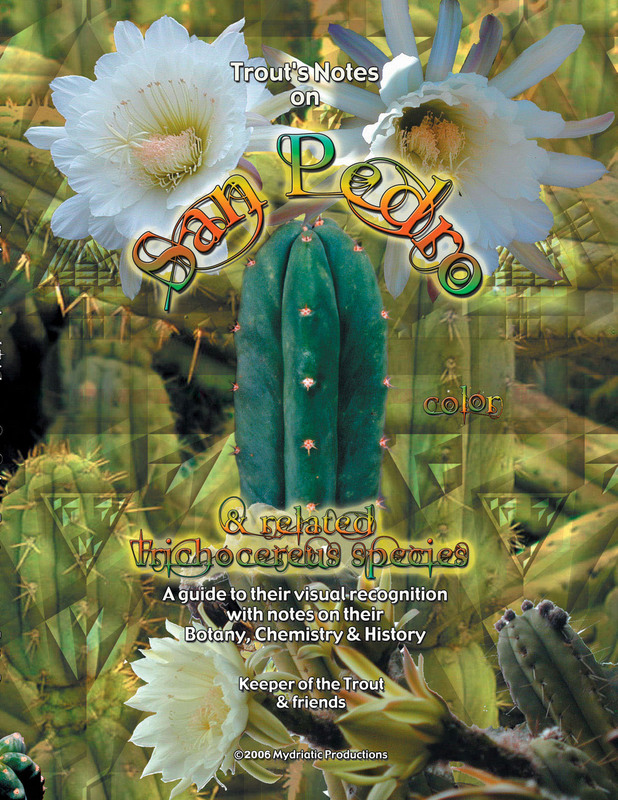 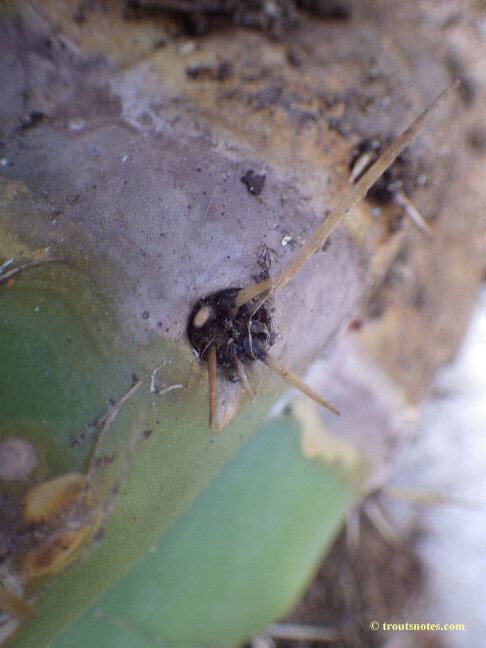 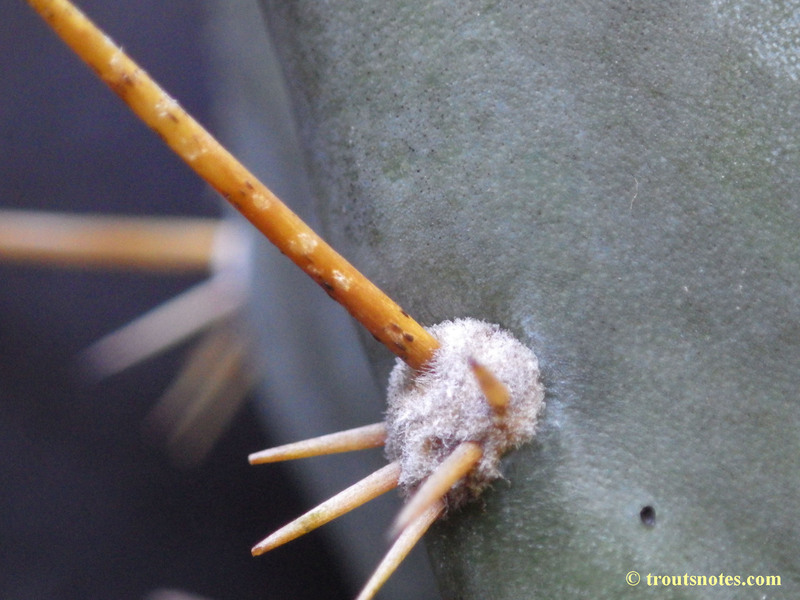 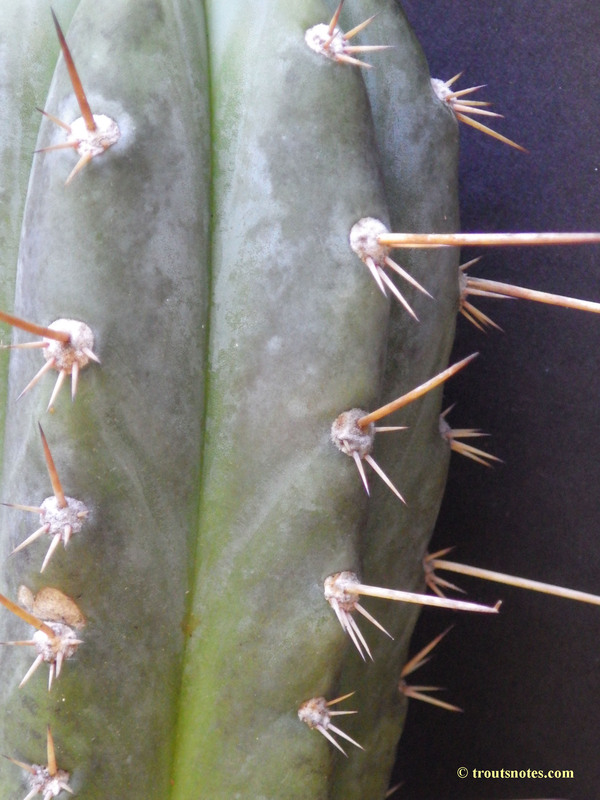 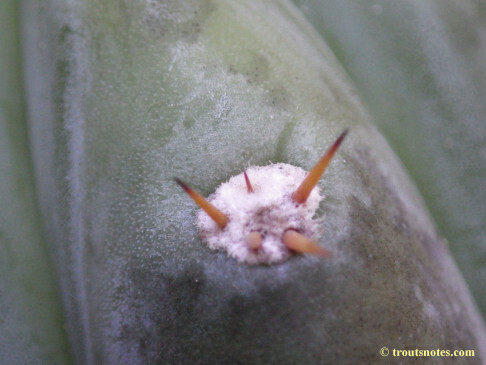 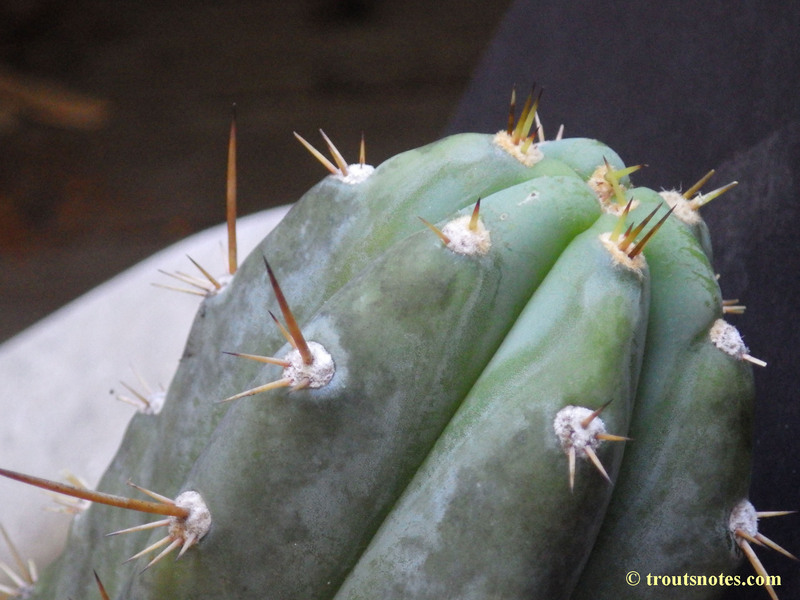 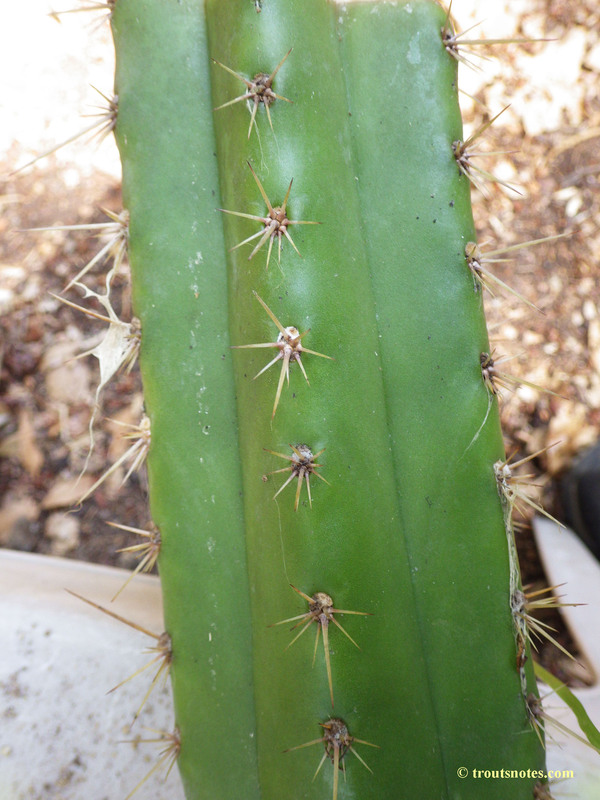 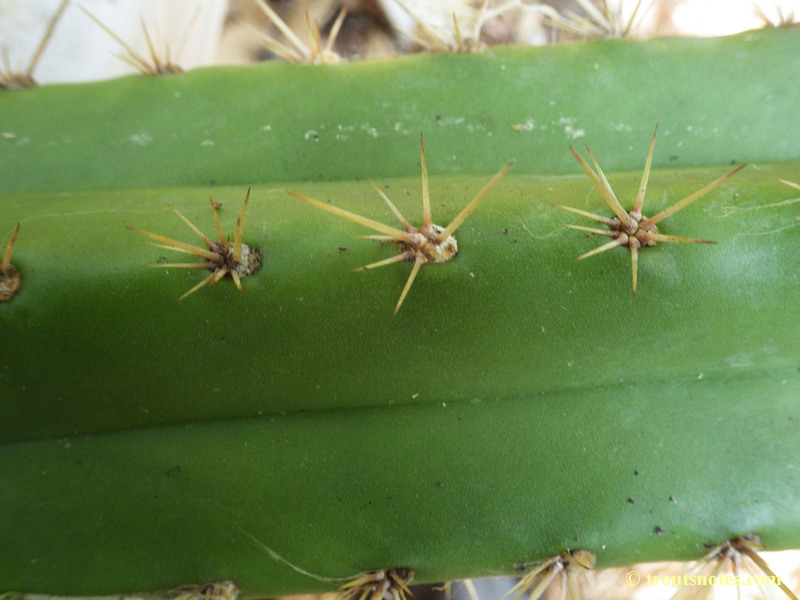 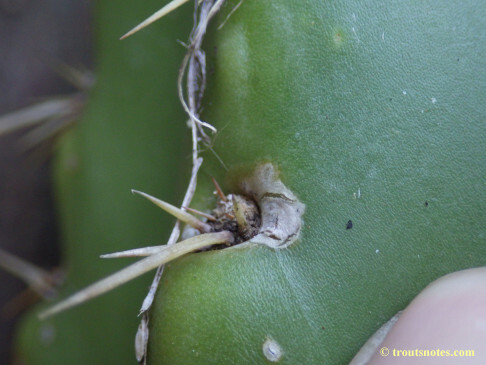 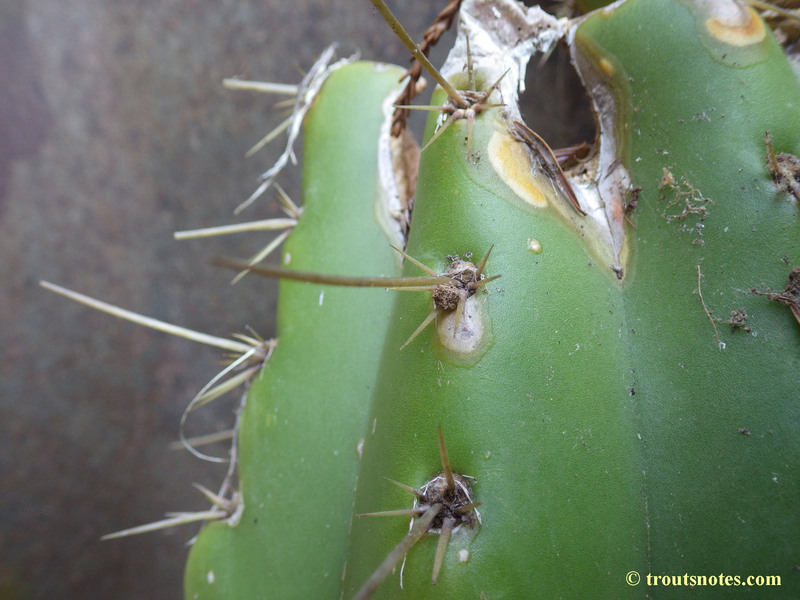 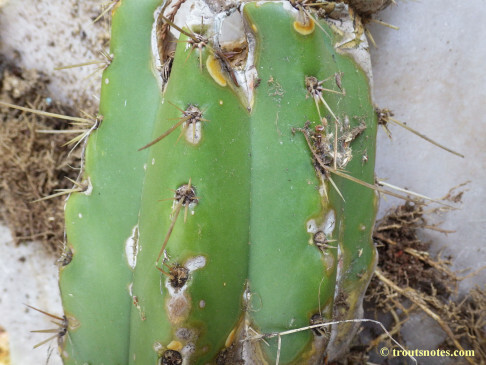 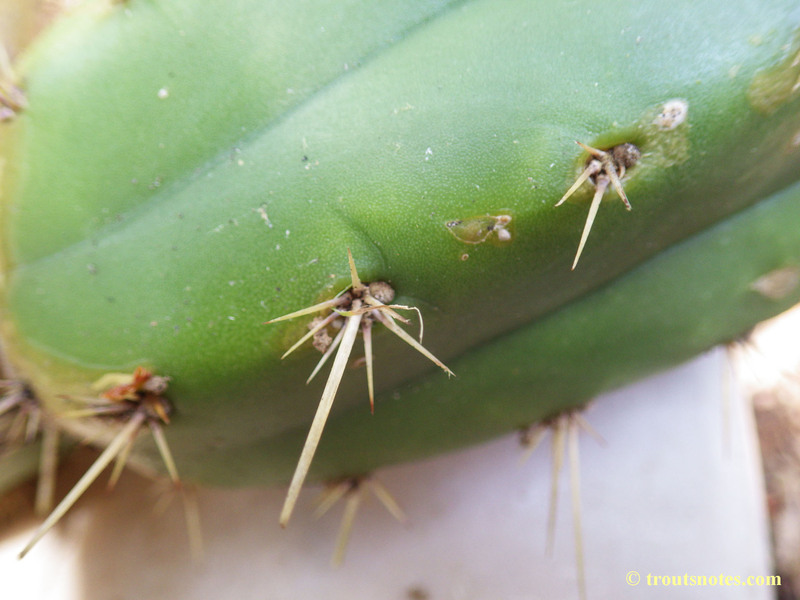 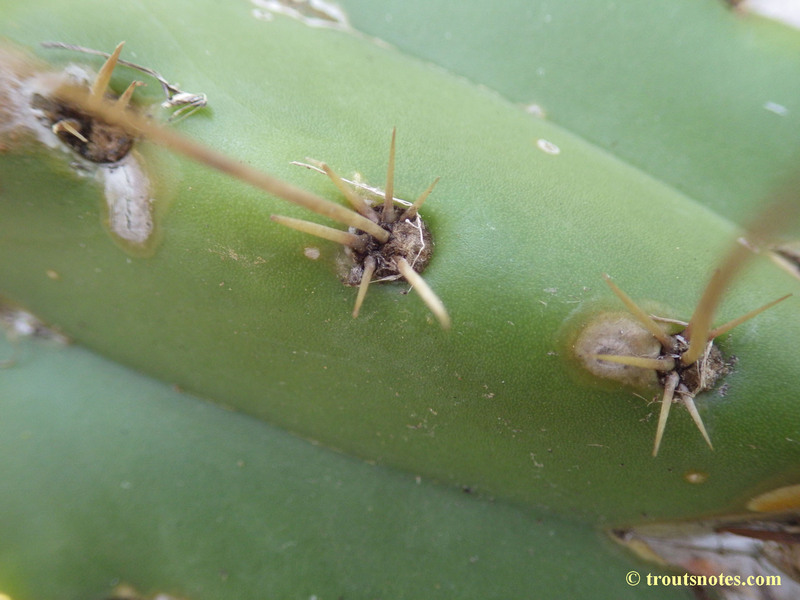 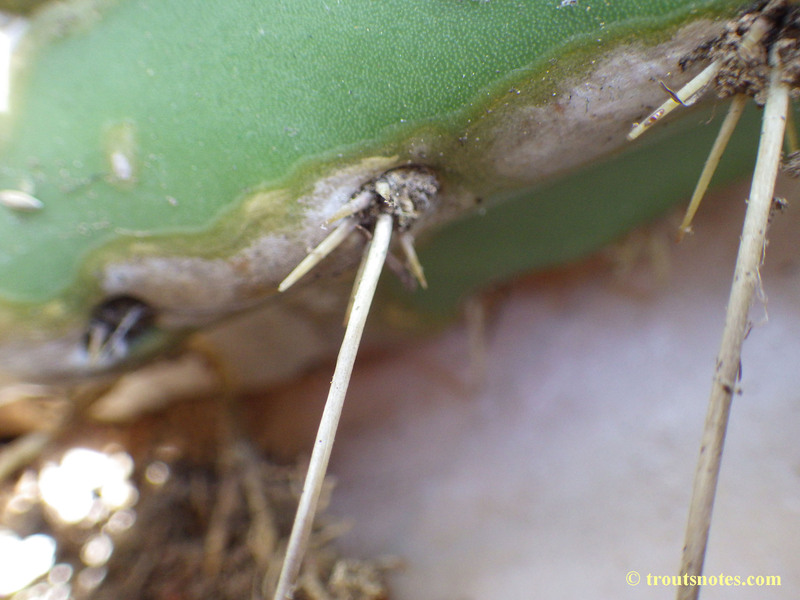 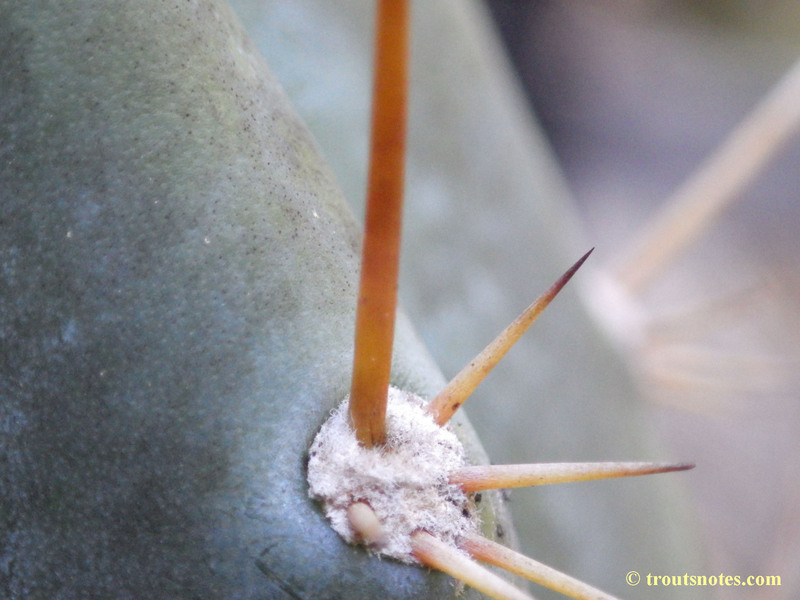 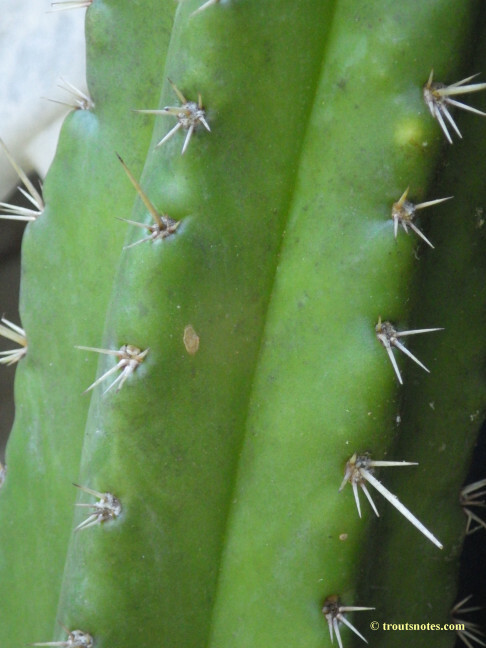 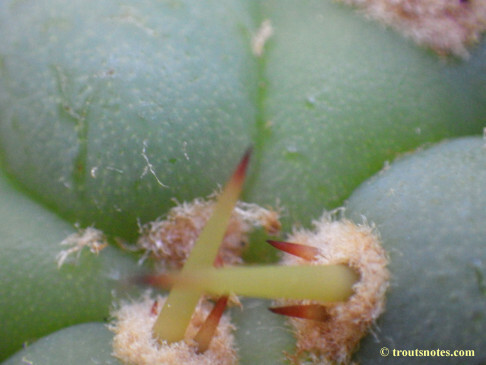 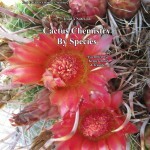 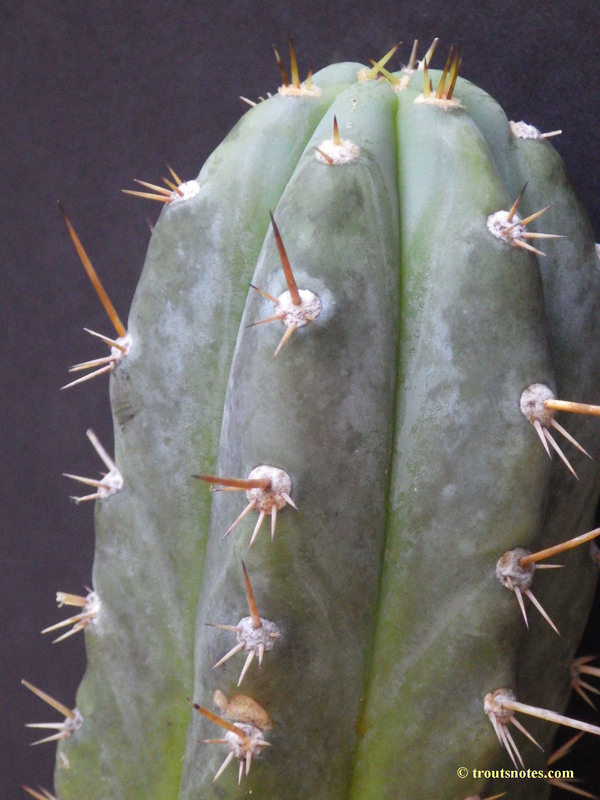 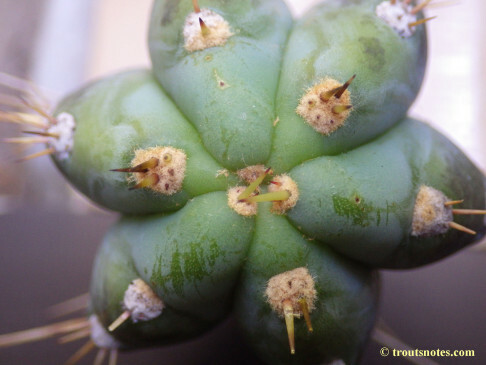 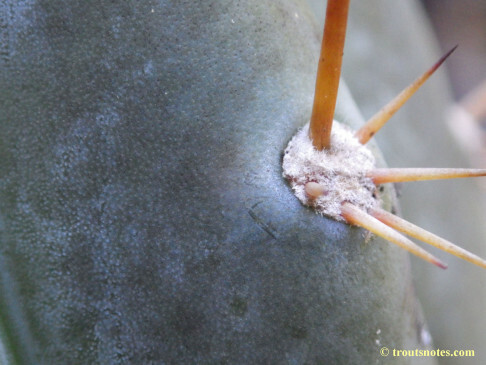 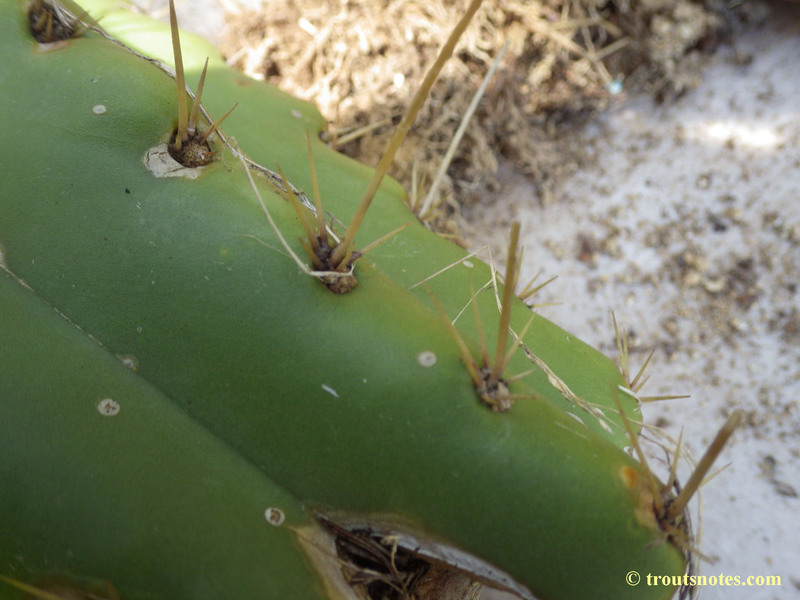 There is actually a Trichocereus glaucus Ritter; which is a quite different plant. 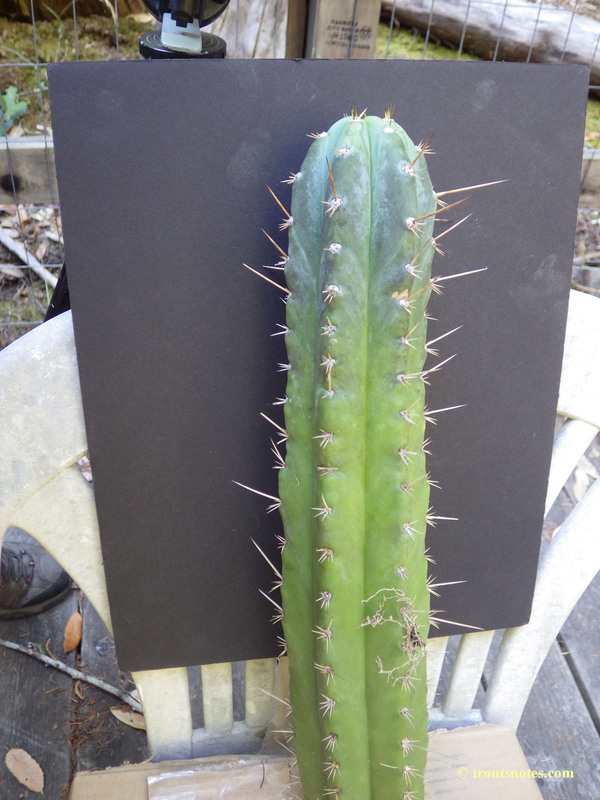 This cutting was mailed from Peru to Florida by Knize. 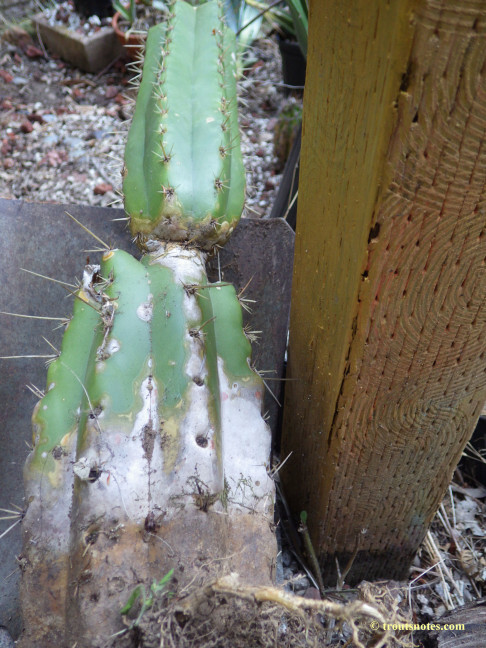 It was then remailed to California from there and for unclear reasons soon became lost and forgotten. It has remained largely buried amidst a tangle of Vinca minor and blackberry canes for the last few years. It must be a hardy plant as the spot where it was growing has seen no winter protection for peak cold temperatures into the low 20sF and little if any summer watering attention. This was recently uncovered, a cutting made of the top, and both were moved to a somewhat better growing location. 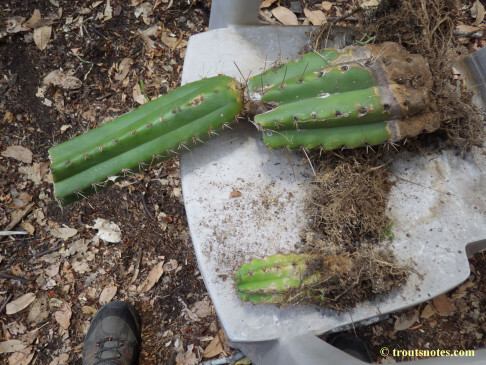 More images will be added of their recovery as well as some older archival material. 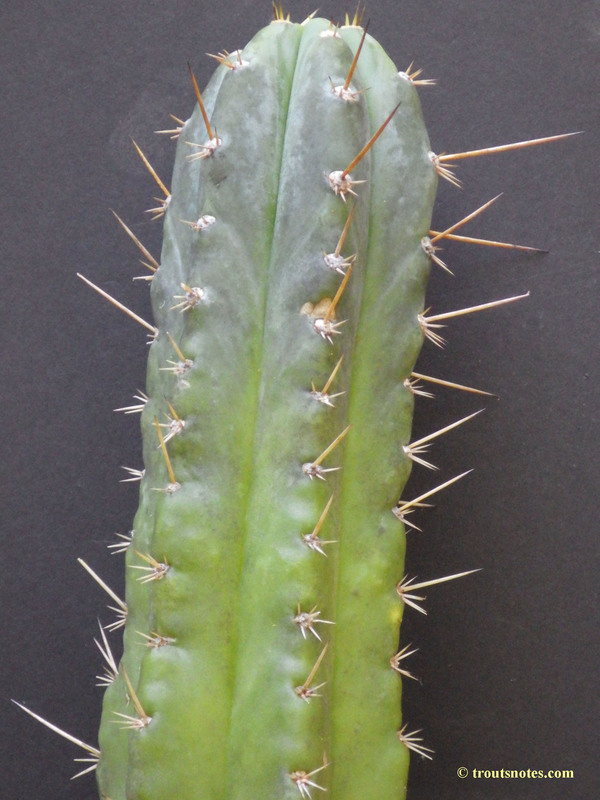 Trichocereus glaucus (sensu Knize ) Small cactus is a terscheckii seedling.